Wolverine 3 shall henceforth be known as Logan. 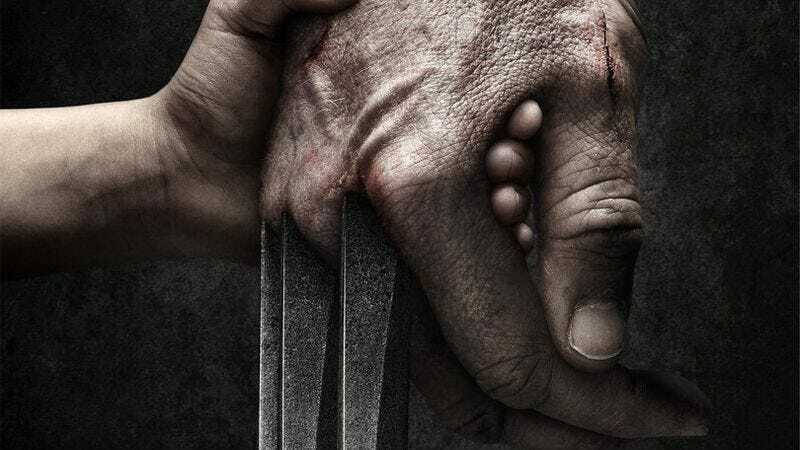 Star Hugh Jackman and director James Mangold revealed the title, along with a similarly stripped-down poster, on social media today. Said advertisement—which, per Hugh Jackman’s Twitter account, now adorns a building in New York—features the character’s paw being grasped by a considerably smaller hand. Set photos, which emerged over the summer, featured a young girl, eliciting speculation that she was playing Wolverine clone Laura Kinney. No word on that front, but the image does scream, “passing the mantle.” It also, as some have pointed out, mimics the Schindler’s List poster. Whether that’s purposeful or not, it’s not like the X-Men movies haven’t dealt with the Holocaust before. As for our hero, well, he’s older now and it’s clear his abilities aren’t what they once were. He’s fading on the inside and his diminished healing factor keeps in him in a constant state of chronic pain—hence booze as a painkiller. The movie is due out March 3, 2017.